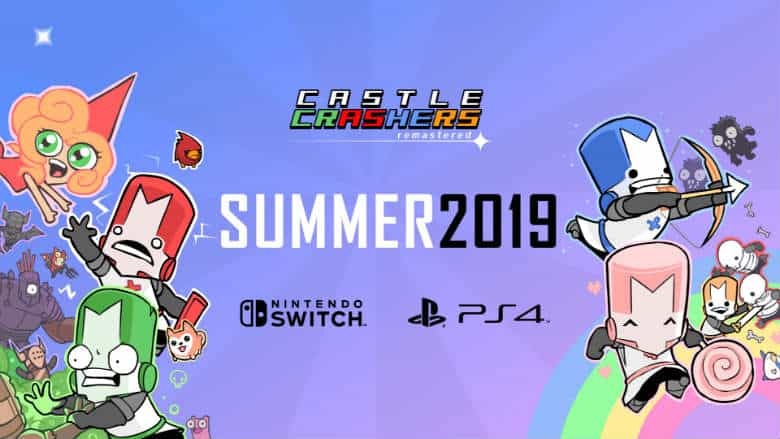 Castle Crashers Remastered Confirmed for PS4, Switch | Nerd Much? After dropping a few teases on us last week, The Behemoth confirmed today that Castle Crashers Remastered is officially headed to PlayStation 4 and Nintendo Switch. Castle Crashers Remastered has been available for Xbox One owners and players on PC for a few years now. The Behemoth states that bringing the game over to PlayStation 4 and Switch is their most requested thing. But they’ve been unable to do so up until now due to the studio’s limited resources. Therefore, they reached out to the team at PlayEveryWare to handle the port. Within Castle Crashers Remastered comes all the multiplayer hack and slash adventuring you fell in love with. But it also sports a ton of upgrades too. The game runs at 60 frames per second instead of the original game’s 30. Textures are now 5 times larger too. A new multiplayer mini-game was added entitled Back Off Barbarian. And all of the previously released downloadable content, including new characters, weapons and animal orbs, come within the Remastered package. The Behemoth also states there’s numerous performance updates and improvements. They promise that Castle Crashers Remastered will be playable at PAX East in Boston next weekend so players can experience it on PlayStation 4 and Nintendo Switch. Then the game will go live later this summer.